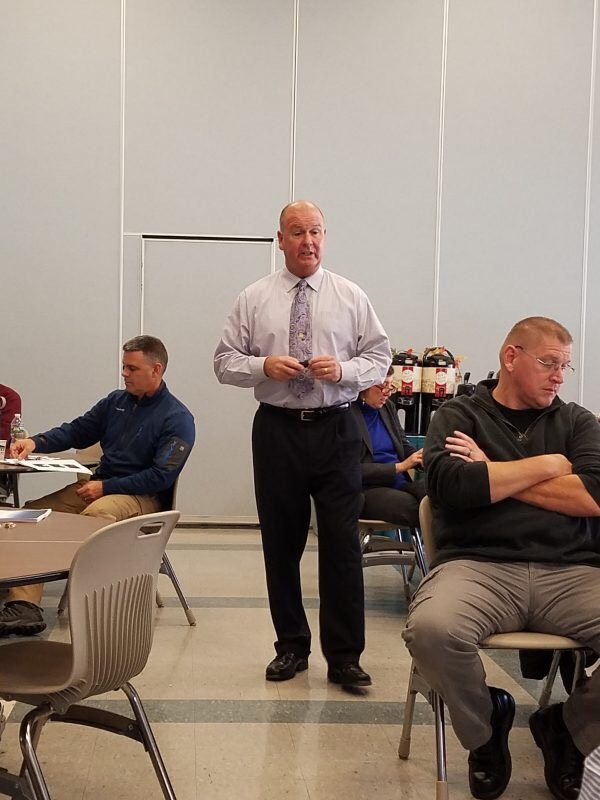 BEDFORD – Chief Robert Bongiorno is pleased to announce that the Bedford Police Department on Monday hosted a class on the concept of “Effective Community Engagement.” In an interesting twist, for the second time this year Bedford Police invited community stakeholders and police officers to sit in the same room during a training program that is usually held for police only. 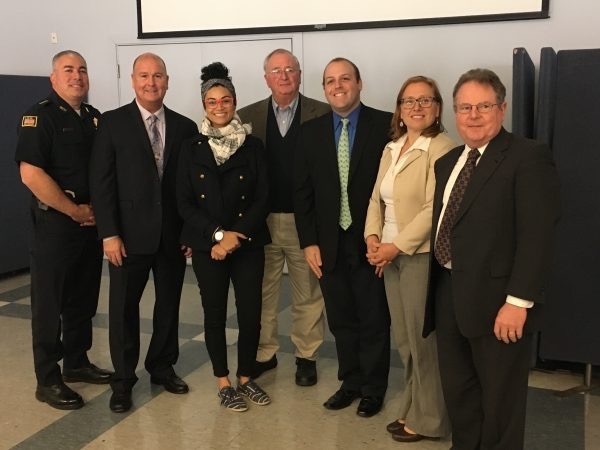 The curriculum was developed by Chelsea Police Chief Brian Kyes, who led the discussion during a morning event at the Middlesex Community College Bedford campus on Nov. 7. 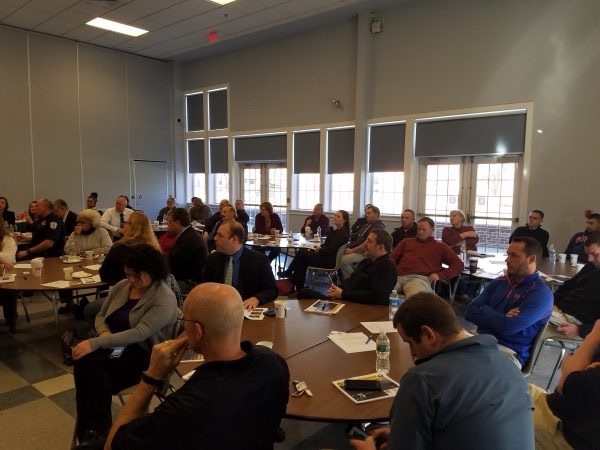 More than 60 people attended the training, including several Bedford police officers as well as elected town officials, town department heads, nonprofit leaders, clergy and school officials. The program focused on the importance for police departments to foster a culture of policing that reinforces the value of ongoing community engagement in balancing public safety demands and building bridges within communities to encourage trust and confidence in law enforcement. This is the second police training involving civilians that Bedford has hosted this year. 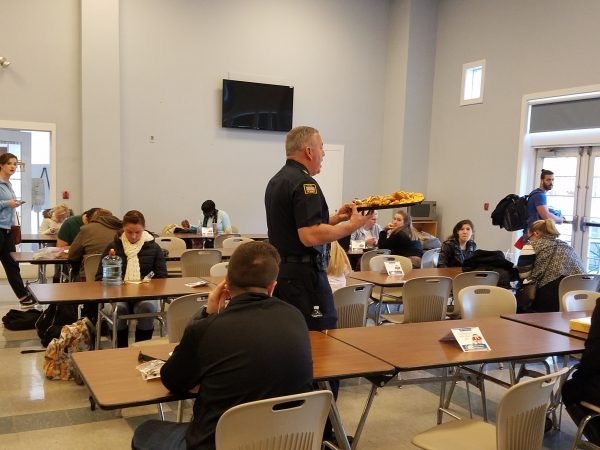 In January, the department hosted a progressive police training course at MCC in conjunction with the Cambridge Police Department. During his presentation, Chief Kyes stressed the importance of maintaining ongoing communication and engagement with the community in order to build trust while maintaining transparency, citing examples such as posting department policies and procedures online, posting crime data and developing better relationships with residents. He also suggested that departments should find non-traditional ways of interacting with their community like in Boston, where the police department bought an ice cream truck to hand out free ice cream to children. For more information or questions, contact the Bedford Police Department at 781-275-1212. The Politics of Murder: Was The Convicted Teenager, Eddie O’Brien, and In One of Boston’s Most Infamous Murder Trials Actually Innocent?